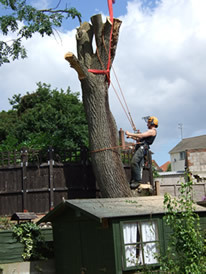 We can provide complete tree and scrub removal services from a single tree to the clearance of a development site. 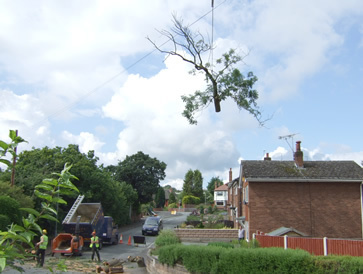 We will assess the appropriate method of removing tree arisings from your property – this may be simply chipping the arisings into a pickup or may involve more varied systems depending on site and numbers of trees involved. Please see our page on Environmental Care to see how we deal with the wood material generated by our work.